SikhNugget presents 406th anniversary of the installation of the Guru Granth Sahib, the holy scripture of the Sikh religion in pictures. Sikh head priest of Sri Akal Takhat Sahib, Gurbachan Singh sits behind the 'Guru Granth Sahib' - Sikh Holy Scripture- as 'Jalau', a show of Sikhism's symbolic invaluable items is displayed inside The Golden Temple in Amritsar. Sikh devotees carry a palanquin containing the Guru Granth Sahib, Sikh's holy Scripture, during a religious procession to mark the 406th anniversary of the installation at the Golden Temple in. 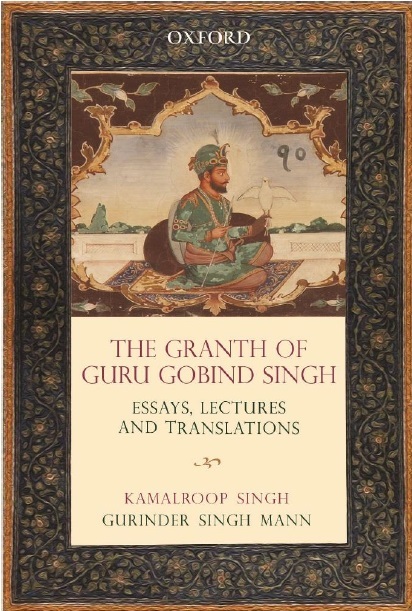 The scripture contains the teachings of the 10 Sikh Gurus. A Nihang - religious Sikh warrior - shows off his skill in the Sikh martial art known as 'Gatka' during a procession from the Gurdwara Ramsar to the Sri Akal Takht at The Golden Temple in Amritsar. Sikh head priest of Sri Akal Takht, Sahib Giani Gurbachan Singh carries the Guru Granth Sahib, the holy Scripture of the Sikh religion during a procession from the Gurdwara Ramsar to the Sri Akal Takht in Amritsar. A fire-works display explodes over the illuminated Golden Temple in Amritsar. Pictures courtesy of Getty images.